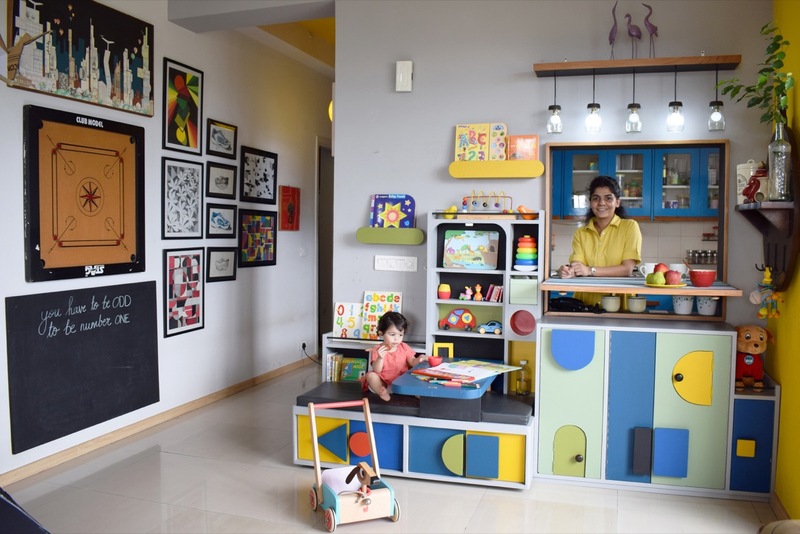 Gaurav Kapoor and Neha Bhardwaj from Layers Studios for Design and Architecture, a firm based in NOIDA, designed a Play Station for a toddler, in fun colours, forms and lots of basic shapes. 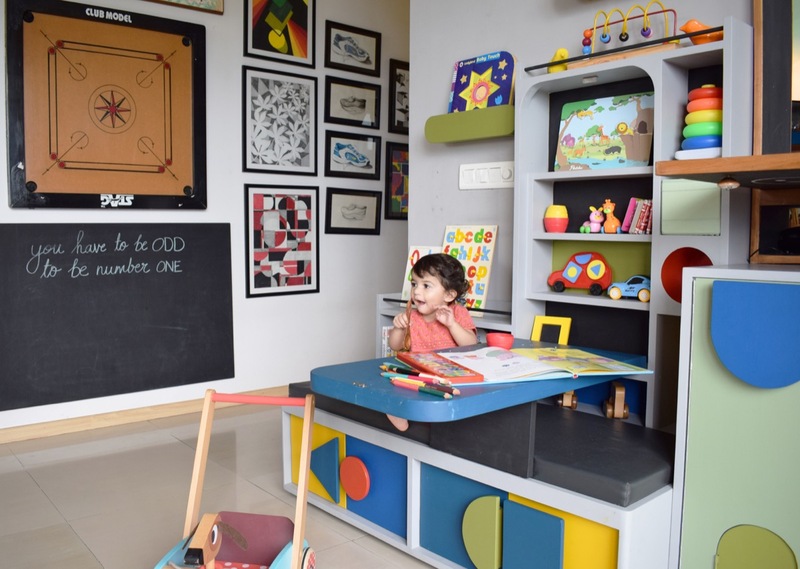 The space not only serves the functional requirement of storage but is an instrument of visual stimulation and helps in improving child’s cognitive process. The PlayStation has a foldable table and small doors (like Alice in Wonderland) within the doors that keeps the toddler involved with the play station and provides opportunity for discovering new elements. The PlayStation in its closed position helps in keeping the Toddler’s belongings organised and beautifully displayed. The various shapes on the Play Station are handles for the shutters of the storage cabinets and the foldable study table itself reveals more storage. The Play Station also has lots of bookshelves and a circular shelf for pens, pencils and colours. A blackboard added to the wall next to the area completes the space that is well connected with the rest of the house and also the Kitchen. 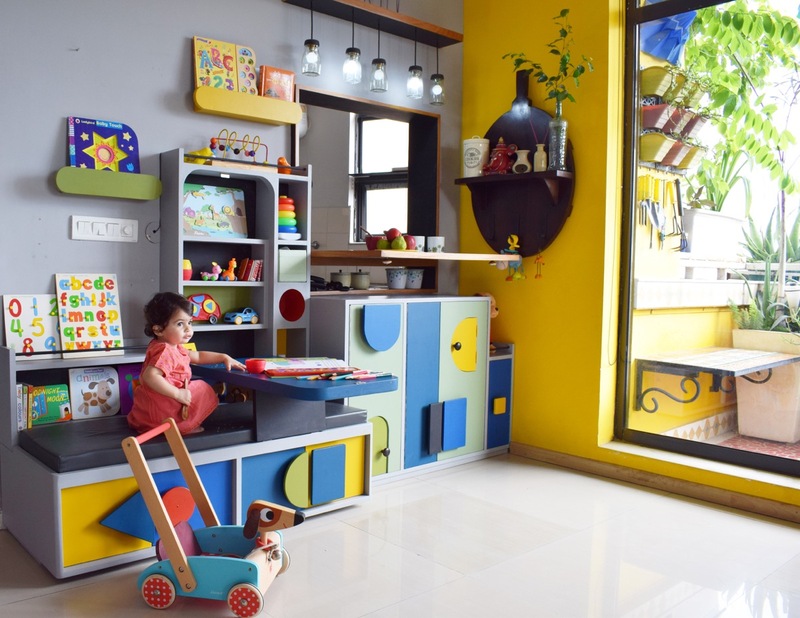 Obviously, the toddler, Ms. Kalki loves to spend time here; reading books, exploring what’s behind the small doors, playing with her toys and at times enjoying a snack too! !